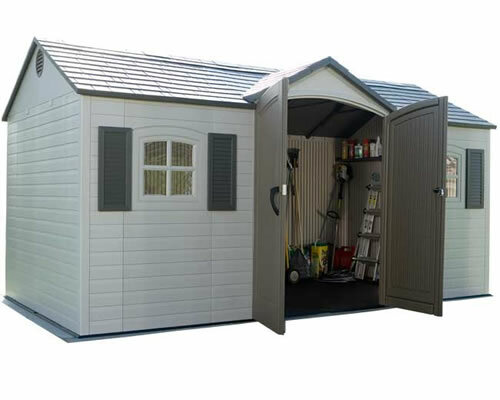 Get organized with a Lifetime 8 x10 ft tool shed. One window and full-length roof skylight provide natural interior lighting. 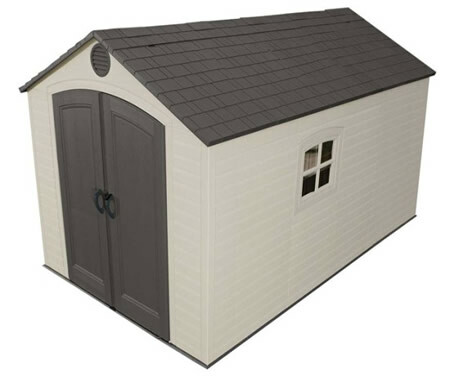 Get organized with a Lifetime 8 x10 ft tool shed. One window and full-length roof skylight provide natural interior lighting. 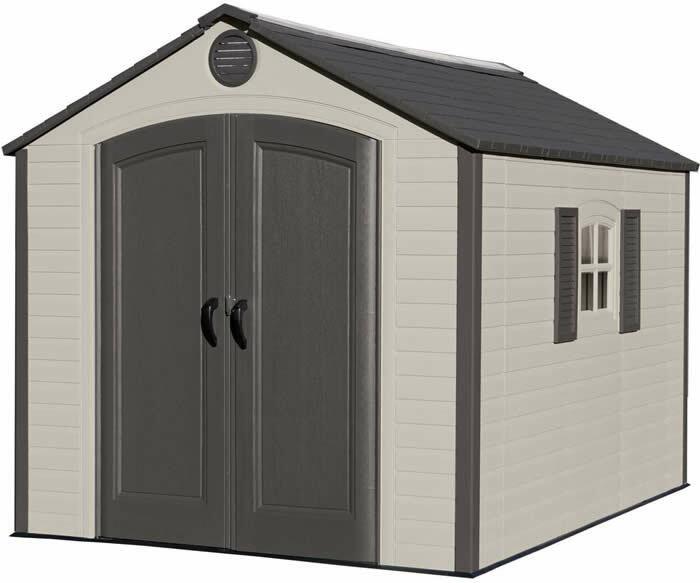 Double doors allow easy access for storing large equipment like your lawnmower or wheelbarrow. 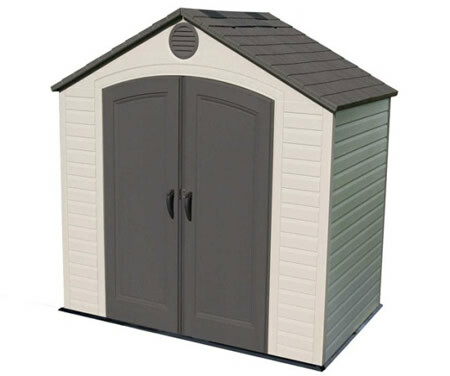 This tool shed comes with one 90 in. shelf for organizing your small tools and chemical supplies. It is constructed of UV-protected, high-density polyethylene (HDPE) plastic and powder-coated steel reinforcements to prevent discoloration and cracking. Won't dent and rust like metal sheds. Won't splinter and fade like wooden sheds. 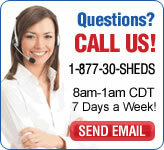 Keep your valuable tool collection and yard equipment safe and dry with a Lifetime tool shed. 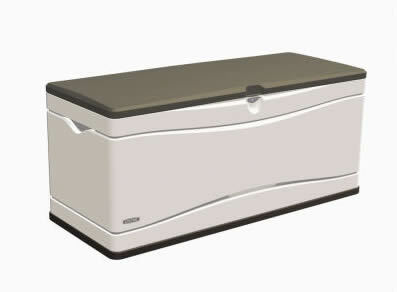 Backed by a 10 yr. limited factory warranty in US and Canada. Not compatible with our shed expansion kits. Made in USA. Walls - Molded wood grain 1 inch double-walled polyethylene plastic with steel reinforcements will support items up to 50 lbs. (22.6 kg) weight capacity if items are attached to the wall correctly. 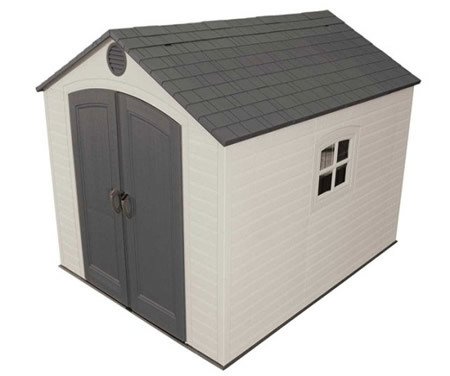 Exterior Roof Width - 132.75"